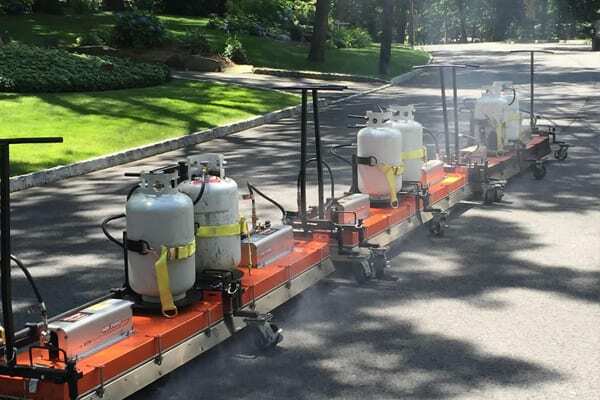 Infrared Asphalt Repair is a method that can be used to repair potholes and small sections of severely cracked areas in your driveway or parking lot. If you’re looking at the surface and are still curious, this blog about when to replace should help. 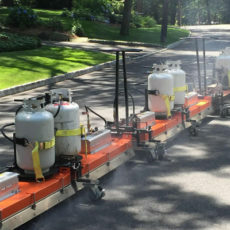 An infrared asphalt repair in certain cases can be more cost efficient, environmentally friendly, and a higher quality finished product than the conventional method of repairing potholes and damaged asphalt. This will prove to be beneficial for properties throughout the greater Danbury area. 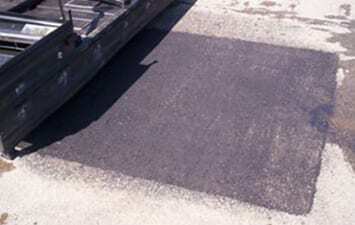 To perform an Asphalt Infrared Repair, the asphalt has to be heated to soften it so it can be reused. The heating is done with an infrared machine. An infrared machine has a large flat steel platform covering a series of infrared heating rods underneath it. The platform is placed over the damaged asphalt and the rods are turned on. 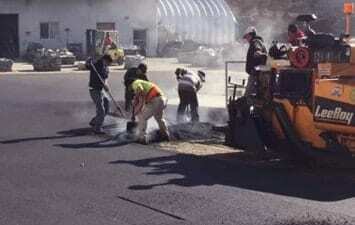 The rods will heat up the top layer of asphalt up to about 325 degrees Fahrenheit. Once the asphalt is heated up, it is mixed using steel asphalt rakes. 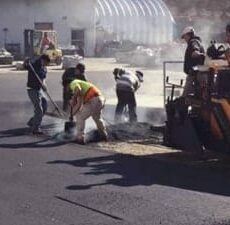 Small amounts of new asphalt are added to the existing heated asphalt and mixed together allowing the fines and oils to bind the new asphalt with the existing heated asphalt. The asphalt is then finished, raked to the proper grade ensuring that there is a seamless transition from the existing asphalt surrounding the repair area. Finally, the repaired asphalt area is compacted with a vibratory roller and is ready for traffic. Less Waste: By reusing the majority of the existing material by reheating it, there is less material that needs to be removed and hauled off to a material yard where it can sometimes sit in piles for months or years before being recycled. Faster Repair Times: A pothole or a small section of severely cracked asphalt can be repaired in about 10-15 minutes using infrared technology. The old method of properly repairing a pothole or cracked area was cumbersome and time consuming using numerous labor and equipment resources to repair small areas. 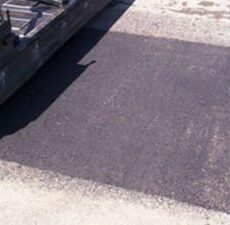 Quality: By using the infrared repair method, you no longer have a seem between the existing asphalt and the newly patched area. The conventional method would result in 4 seems around the patch where future water seepage, splitting and cracking could occur. Call us today to have one of our experts advise you on whether the Infrared Method is the best option for your upcoming asphalt repairs.